Another one of the must-made Vietnamese dish to me is banh mi or Vietnamese sandwich. This cha que/ Vietnamese baked cinnamon pate recipe I shared here was particularly made to go with the banh mi. Cha que is smooth in texture and goes very well with noodle or rice dishes, not to mention goes super well with banh mi. The pork is marinated in fish sauce, cinnamon, sugar, black pepper and corn starch for at least 4 hours, preferably 24 hours if possible. The meat is then processed into a paste and baked. This baked pate is also readily available at the freezer section at Asian grocery store if you don’t feel like making it. 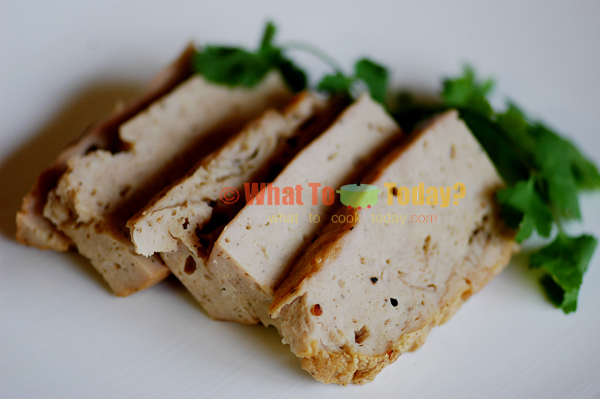 I know I said this a lot, however, this pate is really not that hard to make. 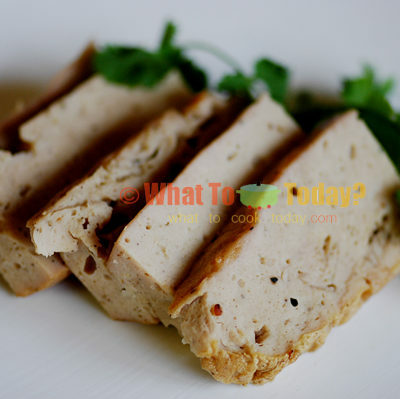 The food processor and oven will do the job for you 🙂 This pate can be stored in the freezer for up to a month. I know the Vietnamese find this indispensable in their kitchen. Thanks to the Hot,Sour,Salty,Sweet cookbook by Jeffrey Alford and Naomi Duguid that I could make this cha que to go along with banh mi.